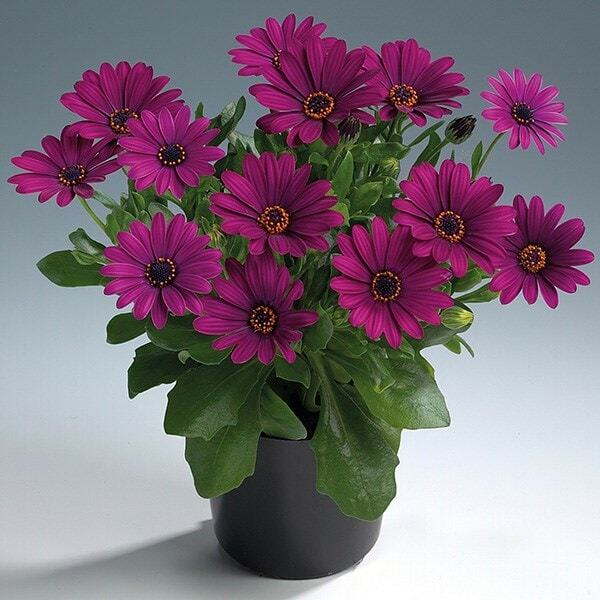 Buy Osteospermum 'Sunny Mary' (PBR) (Sunny Series) African daisy: Perfect for a sunny hot garden. Perfect for a sunny hot garden, where the sumptuous magenta/pink flowers will dazzle. These beautiful daisy-like flowers with their rich midnight blue eye contrast well against the deep green foliage. These are sun lovers so make sure you plant them in full sun, in a window box or pot to appreciate a succession of magnificent blooms.